The GTM research estimates that cumulative global market for solar PV is expected to reach almost 700 gigawatts by 2020. It is envisioned that solar development will grow applying a market-based approach while the current subsidy model will be less dominant as future solar PV growth is likely to be almost entirely market-based by 2020. There will be both challenges and opportunities that will result with this significant growth. One of the main challenge include the use of the grid by solar users as utilities will request for fees for solar users to connect to the grid and this will affect potential savings resulting from using rooftop solar panels. Besides this challenge, this projected solar growth presents an opportunity for the creation of solar market places which will be used by ideal solar consumers. Today we have a few that are operating in the USA while others are still in the development stages such as the Google project Sunroof. When grid operators charge for the utilization of the electric grid by solar users, this will affect the growth of solar markets as one incentive of switching to solar is net-metering which allows solar users to obtain a credit from the excess solar electricity they feed into the grid while reducing the overall cost of solar and increasing savings received by the solar users. Today potential ideal solar customers are able to switch to solar easily and can be able to make a more informed decision by use of the solar market place. Currently there are a few solar market places, including Energy Sage, Google Project Sunroof, and MySolarToolKit. These market places will help to accelerate the growth of the solar energy market in the USA as well as around the world. The energy sage is almost similar like the Geostellar solar energy market place and according to Energy Sage has already won the support and backing of the U.S. Department of Energy, New York State Energy Research & Development Authority, Connecticut Green Bank, and Massachusetts Clean Energy Center. Currently, this solar market place is in over 30 States in the USA, but is growing. For more details about the energy sage or to start using this system, click here. Google project sunroof utilizes the Google’s expansive data in mapping and computing solar energy resources to use while providing you with the best solar energy plan available to you. Just like Geostellar and Energy Sage, project sunroof also allows potential solar customers to enter their address and this system looks up your home in Google maps and combines that information with other databases to create your personalized roof analysis. This way a homeowner is able to decide whether to switch to solar or not, based on the information they are provided with.This system is currently at the pilot stage and is covering a few places in the USA. To start using the project sunroof, click here. This tool or solar market place also works in the same way as the the above solar market places and can help homeowners in the USA to locate their home online using google maps to estimate potential savings of switching to solar as well as the payback period involved. 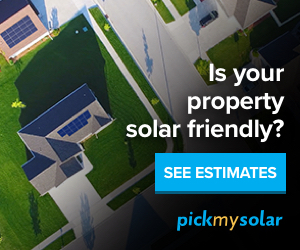 Instant solar estimates that give consumers quick information about the costs and benefits of switching to solar. Online system that allows for comparison between different solar installers that empowers the solar consumer to choose their best option. Incase you have any questions about solar market places or going solar, click here for more details. Great to hear that solar power is becoming more cost effective! I wish more people were aware of the fact that it’s now relatively cheap to run a home solar power system. Some people are even taking themselves off the grid altogether now… There are some great guides out there on how to do this some of which are listed on this site http://bit.ly/DIYEnergySystem if you’re interested? Hello Jim Grant, thank you for your comment and for taking your time to read this blog post. Yes the price of solar is dropping every year and with time it will reach grid parity to be able to compete well with other sources of energy. However, in some countries and some states in the USA, solar is at the point of reaching grid parity. The good news is that today you can tell whether solar is good for you or not as there are online solar market places out there that can pull data from google maps as well as other databases to give you free estimates about your specific situation. Please feel free to visit this site (https://geostellar.com/go/USKE) and just plug in your address and it will give you all the information you need to know for your specific case. I will check these guides and thank you for sharing. It gives a point of view toward how the worldwide solar power market is relied upon to advance in the coming years and which are the rising innovation patterns. Solar PV is prepared to understand its part on the world’s stage and needs to start to consider how it fits in with other vitality innovations. Solar energy rivals different renewable, atomic and normal gas as the world moves to change its energy foundation. Thank you for your comment and for taking your time to read my blog post. It is true solar energy on its own cannot solve all the energy issues we are facing today,but its theoretical potential and economic potential are very huge and thus will play a major role in shaping the energy landscape of the future. Furthermore, solar energy is just one of the solutions to address energy and climate change issues in both the developed and the developing countries. A mix or combination of energy sources that are less carbon intensive will help to shape this energy transition and solar energy will play a very huge role because of its abundant nature and its declining cost. The cost factor and savings to be achieved by end-users will determine which technology will compete well in the market as consumers look at the costs and how much they can be able to save with these technologies. I envision solar becoming more popular compared to its counterparts because of its availability in all parts of the world and its huge theoretical and economic potential. These are just my thoughts about the energy future and what is likely to happen. Please feel free to comments and thanks again for your interesting comments.